Founded in January of 1980, Mark’s Outdoor Sports has been providing superior products and service to the greater Birmingham area for over 37 years. Serving as your Complete Hunting and Fishing Store, we offer the absolute best products, prices and customer service we can provide. We strive everyday to make sure that each and EVERY customer feels right at home at Mark’s Outdoor Sports. 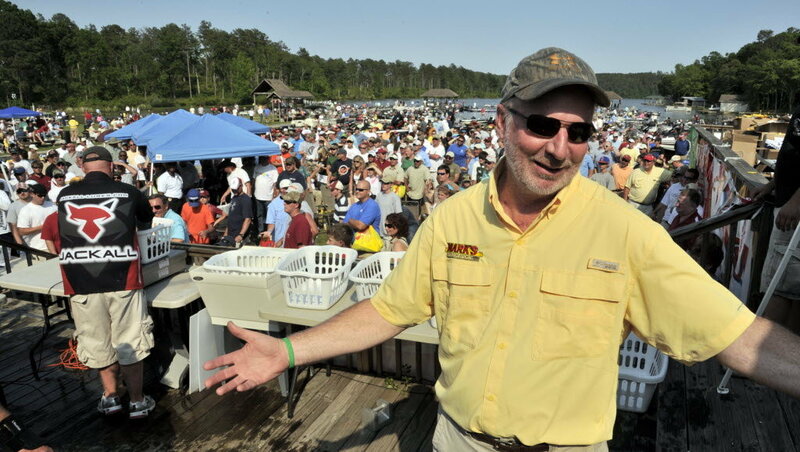 Mark Whitlock founded Mark's Outdoor Sports in 1980. What started as a small fishing shop, eventually became one of the country's top 10 outdoor retail destinations. Mark was an industry icon, and for good reason. He built something very few people could through a combination of hard work, exceptional customer service, an incredible knack for merchandising, and a deep appreciation for his customers and employees. Mark was diagnosed with cancer in 2010, and passed away in 2012. It was a loss felt throughout the entire industry. Five years later, customers and employees still exchange stories of Mark, and his generosity toward everyone. Today, Mark's Outdoor Sports is owned and operated by Mark's wife Dana, and despite increased competition across the nation, Mark's Outdoors continues to be one of the premier outdoor retail shops in the country!